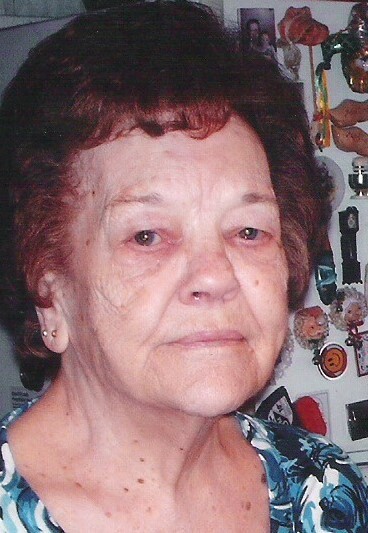 Leona E. Holt, age 96, Logansport, passed away at 10:45 a.m. on Friday, November 2, 2018, in her residence. Born in Vermilion County, Illinois on April 29, 1922, she was the daughter of Ray and Gracie Mae Watson Hunter. Leona was married to Robert Ferrell Holt, who preceded her in death in 1997. Leona was a life member and past president of the VFW Post 3790 Auxiliary. In earlier days she enjoyed bowling, camping and shopping. For forty-five years she baked cakes and catered weddings. Surviving are daughters, Lee Anne (Larry) Nipper and Trinca Stearns, all of Logansport; and sister, Norma Smith. Also surviving are numerous grandchildren, great grandchildren, great-great grandchildren and great-great-great grandchildren; and several nieces and nephews. Leona was preceded in death by a great grandson, Derik Stearns; and two brothers, Paul Hunter and Robert Hunter. Visitation will be from 11:00 a.m. to 1:30 p.m. Tuesday, November 6, 2018, at Kroeger Funeral Home. At 1:30 p.m. on Tuesday, the VFW Post 3790 Auxiliary will conduct a memorial service, immediately followed by the funeral service with Pastor Darlene Dehaai officiating.